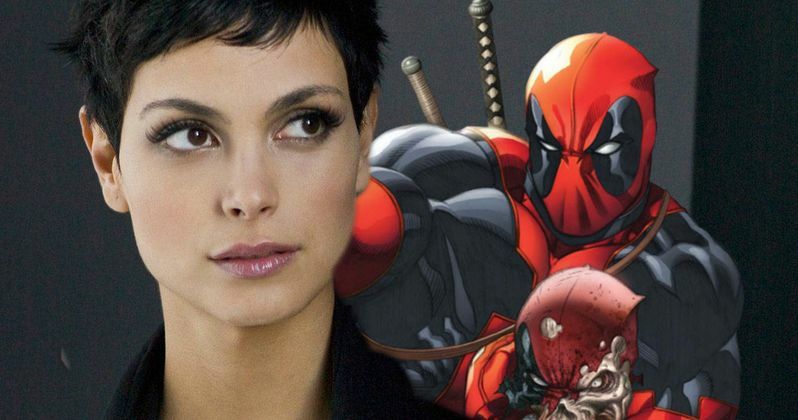 After testing earlier this month, actress Morena Baccarin has landed the female lead role in 20th Century Fox's comic book adaptation Deadpool. The actress was believed to be the front runner for the role, beating out others in contention such as Taylor Schilling (Orange Is the New Black), Crystal Reed (Teen Wolf) and Rebecca Rittenhouse (Red Band Society). While her character's exact identity wasn't revealed, Morena Baccarin will play a potential love interest for Wade Wilson (Ryan Reynolds), although she grapples with falling for a man with a disfigured face. The story centers on Wilson, an assassin who undergoes a procedure to cure his cancer, but the operation backfires, leaving him twisted and scarred while also giving him super powers. Morena Baccarin joins a cast that also includes Gina Carano as Angel Dust, T.J. Miller as an unknown comedic character and Ed Skrein as a mysterious character who may be the villain. Tim Miller is directing from a script by Rhett Reese and Paul Wernick (Zombieland). Simon Kinberg is producing alongside Lauren Shuler Donner, with production scheduled to begin next month in Vancouver. Morena Baccarin is no stranger to comic book adaptations, since she currently plays DC Comics character Dr. Leslie Thompkins on Fox's Gotham. On the big screen, she will next be seen in Spy, alongside Jason Statham, Melissa McCarthy and Jude Law, which hits theaters May 22.